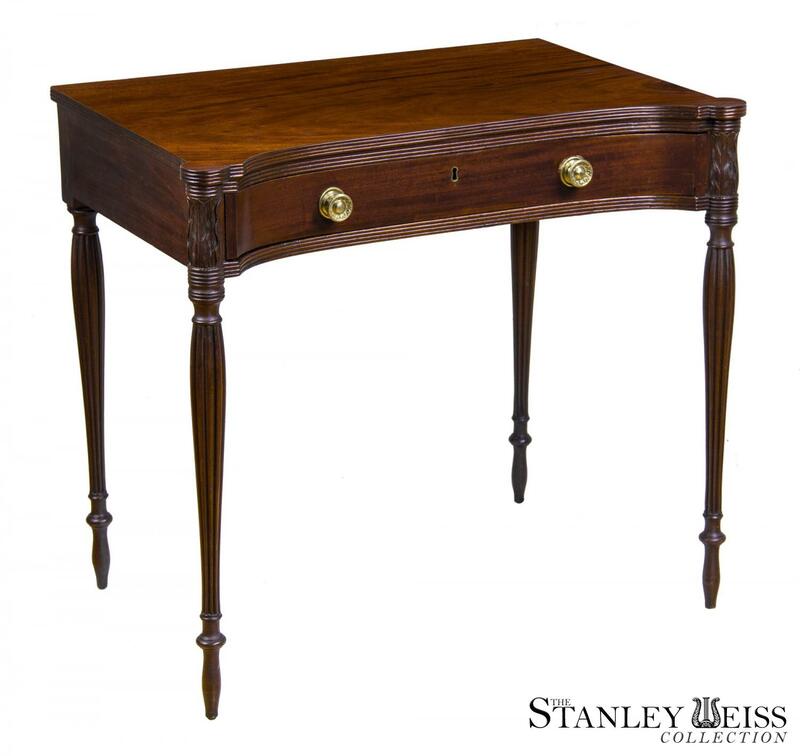 This is an excellently executed one drawer writing table of the best caliber produced by the Salem woodworking school. 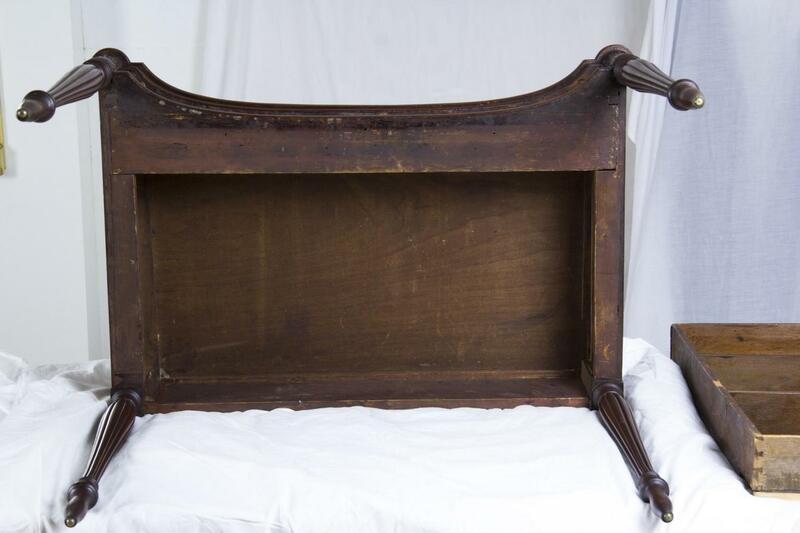 Starting with the top, note that it is a single unjoined board of fabulously striped mahogany. 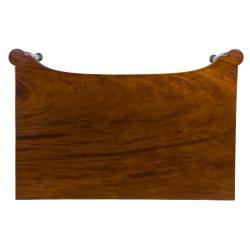 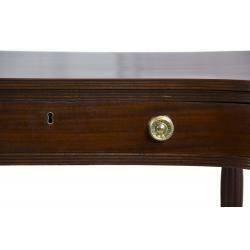 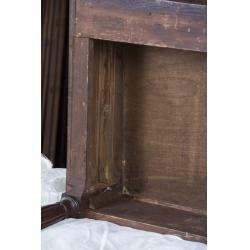 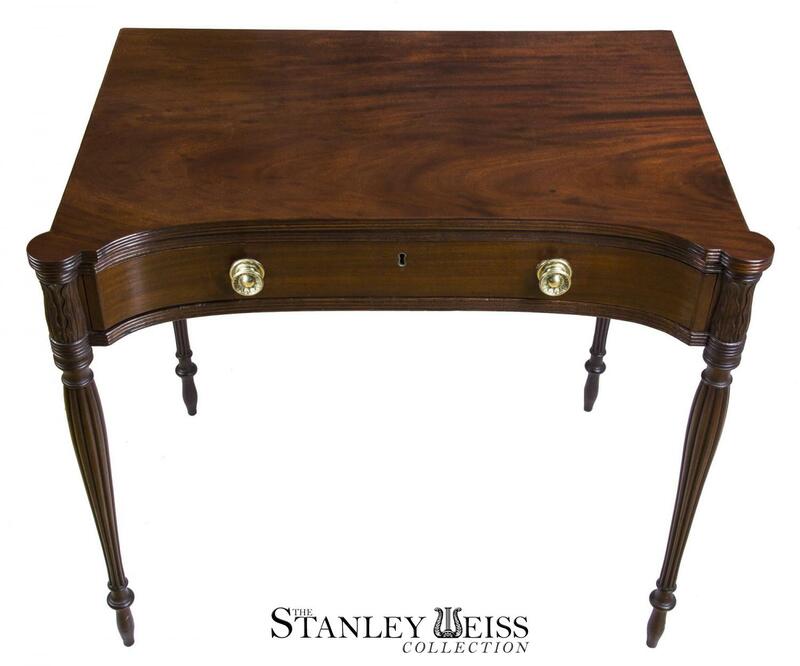 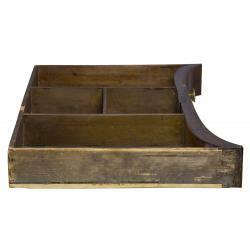 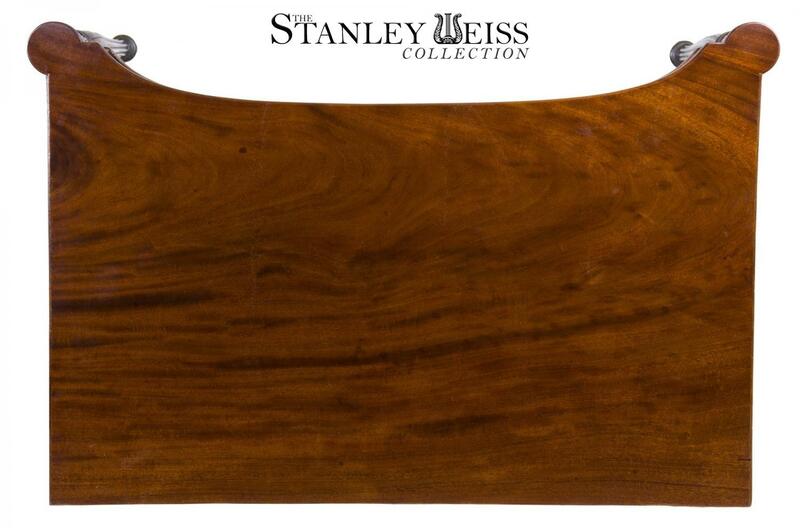 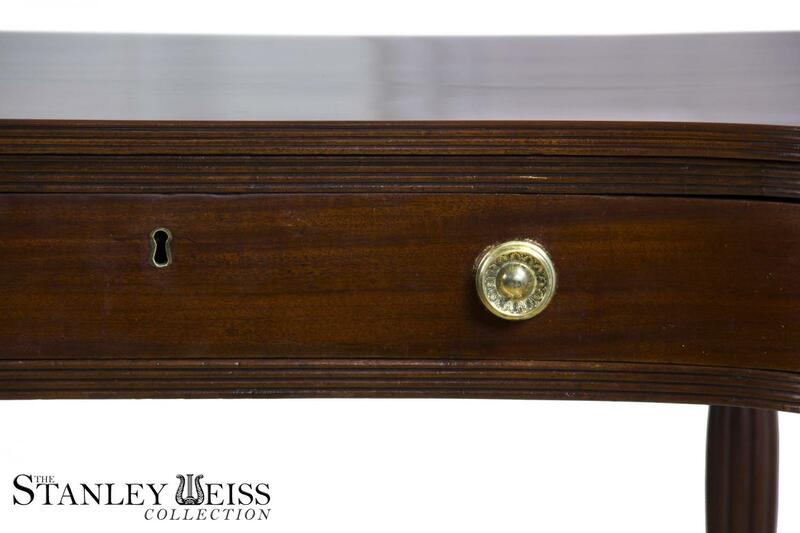 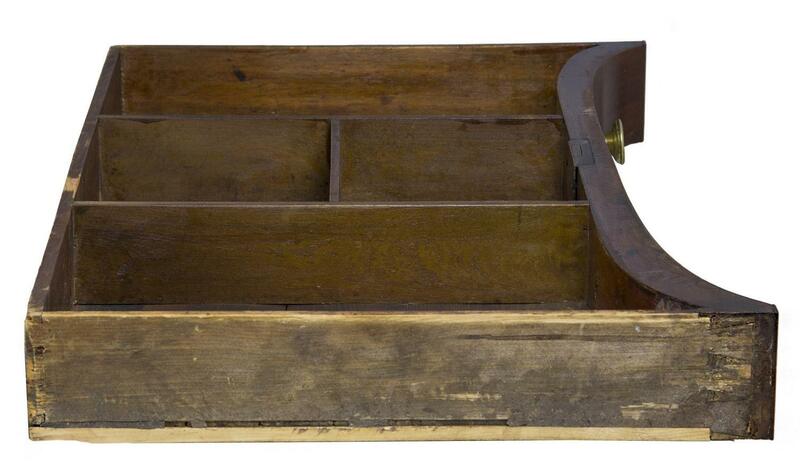 The edges of the top are finely reeded and the convex shape of the drawer is a rarity and exceptional in design. 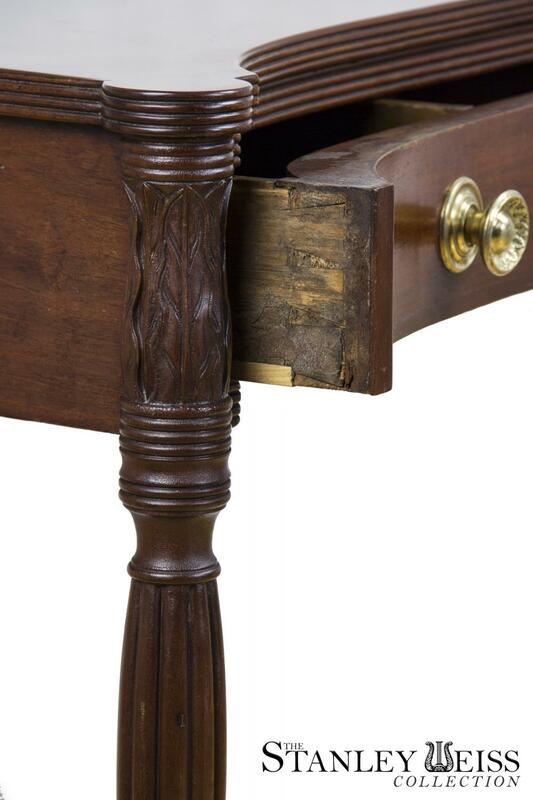 Also notice that block ends have evolved into ovolo corners, over the trademark McIntrye acanthus leaves, all of which are beautifully carved and retain an early oxidized surface visible on the close-up. 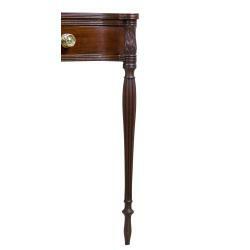 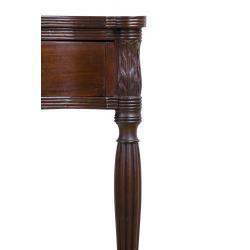 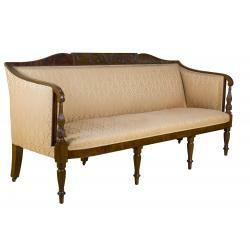 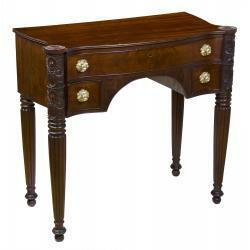 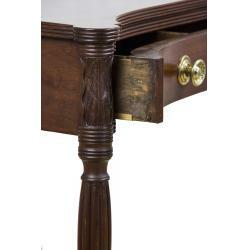 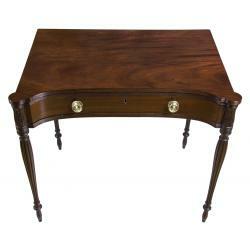 The legs are beautifully reeded, and delicately proportioned. 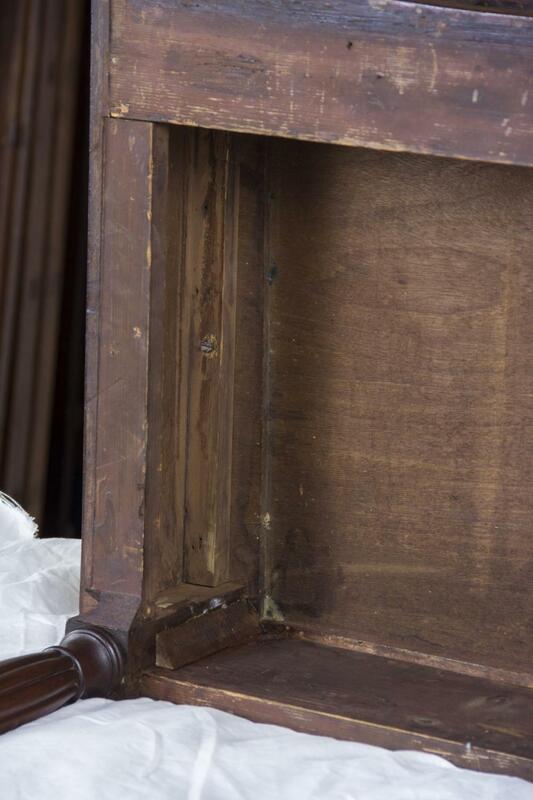 The brasses are original and there are no alterations, breaks or modifications whatsoever. 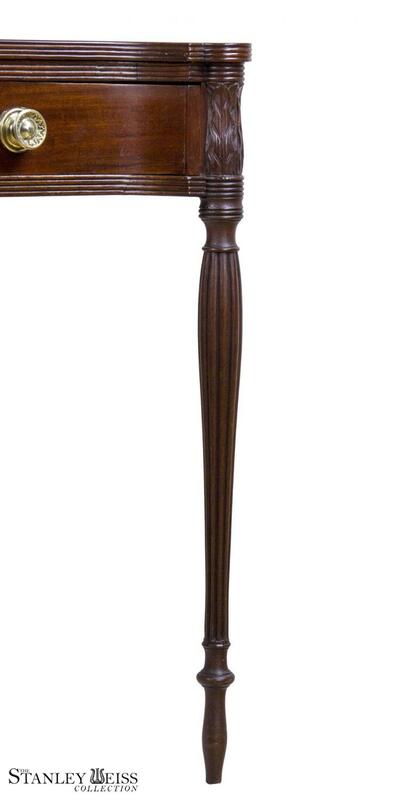 Height: 31 1/2 in. 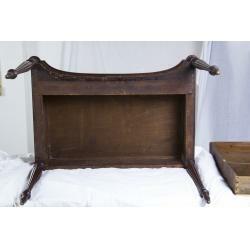 Width: 33 in. 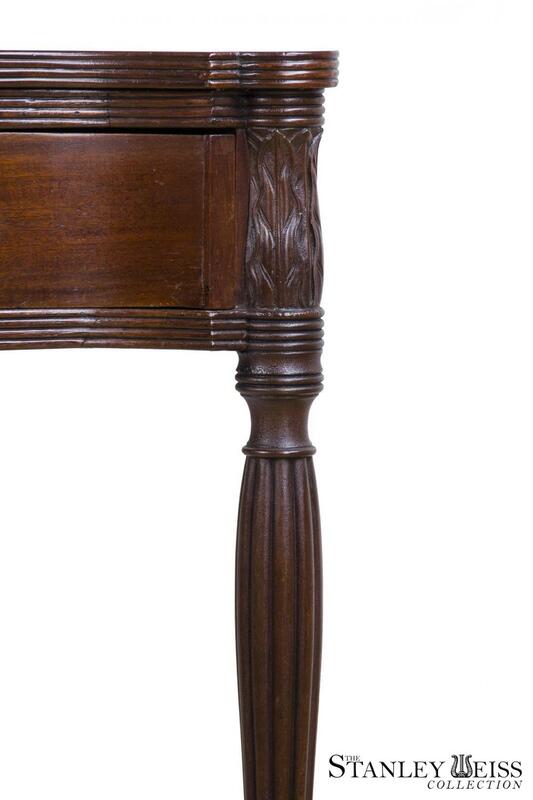 Height: 22 1/2 in.